Original photograph taken by John Boyd in 1920. The Rideau Canal, also known as the Rideau Waterway, connects the city of Ottawa, Ontario, Canada, on the Ottawa River to the city of Kingston, Ontario, on Lake Ontario. It is 200km in length. 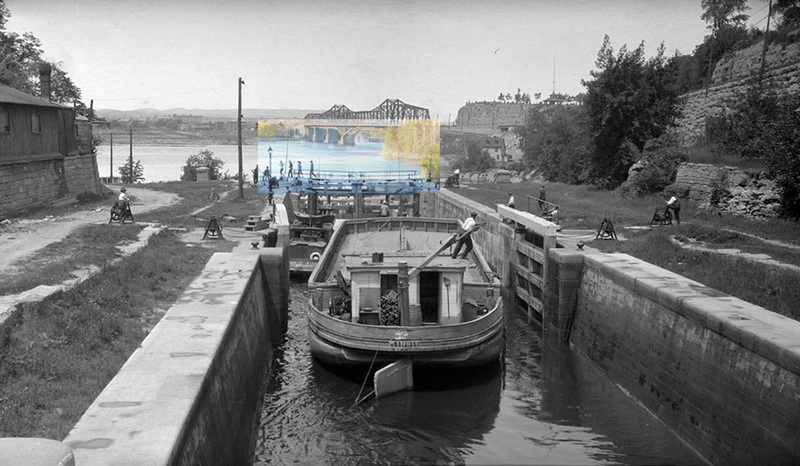 The name Rideau, French for “curtain,” is derived from the curtain-like appearance of the Rideau River’s twin waterfalls where they join the Ottawa River. 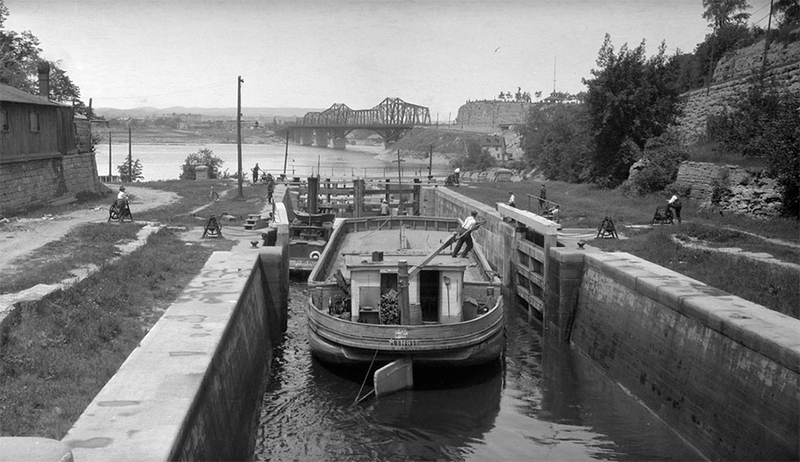 The canal was opened in 1832 as a precaution in case of war with the United States. It remains in use today primarily for pleasure boating, with most of its original structures intact, operated by Parks Canada. 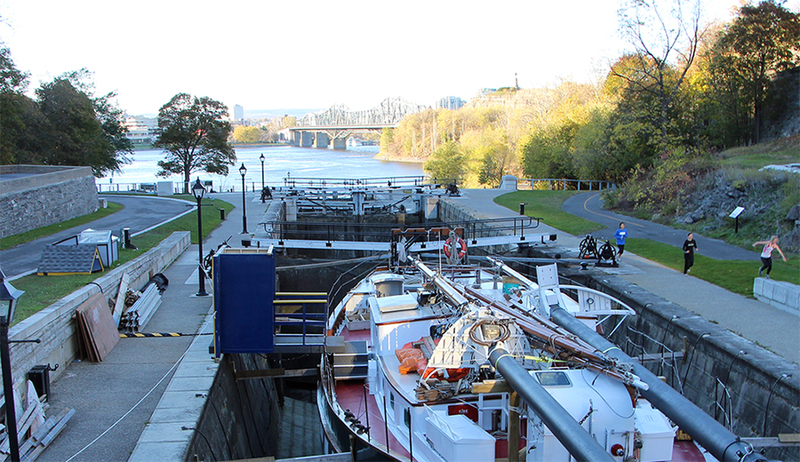 The locks on the system open for navigation in mid-May and close in mid-October. It is the oldest continuously operated canal system in North America, and in 2007 it was registered as a UNESCO World Heritage Site.